This does favors for no one. Not the United States, not Palestinians, and not Israel. [pullquote text=”Israel’s long-running policy of settling civilians in occupied territory is considered a war crime under the statute of the International Criminal Court (ICC).”]This equivocation does, however, help sustain the cycle of violence and perpetuate further violations of international humanitarian and human rights law. The West Bank, including East Jerusalem, and the Gaza Strip all remain under effective control of the Israeli government. The legal obligations for any occupying power are outlined in international humanitarian law (IHL), particularly the Fourth Geneva Convention. Palestinians living in the OPT are considered protected persons under the convention, which Israel has ratified. IHL stipulates states are not to transfer their own civilians into territory they occupy, or to forcibly transfer protected persons from or within an occupied territory. States are also forbidden from destroying individual or collective property in an occupied territory, except when this is rendered absolutely necessary by military operations. Under Israeli law, settlements ‘authorized’ by the government are legal while smaller, ‘unofficial’ outposts are illegal. Sometimes the Israeli government retroactively ‘legalizes’ previously unauthorized outposts. International law does not make any such distinctions; all Israeli settlements in the OPT violate the Fourth Geneva Convention. The international community has consistently recognized that settlements contravene international law and create a situation which perpetuates a range of violations of Palestinian human rights including, but not limited to, discriminatory policies based on nationality, ethnicity and religion. 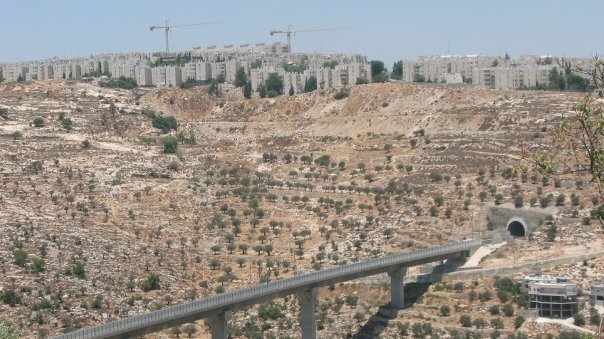 In order for the United States government to respect the rule of law during these ‘peace talks’ and truly facilitate a just and sustainable peace in the region, they must insist Israel immediately halt all construction of settlements and related infrastructure as a first step towards removing all settlers from the OPT. Israel’s long-running policy of settling civilians in occupied territory is considered a war crime under the statute of the International Criminal Court (ICC). Article 8(2) of the Rome Statute defines “the transfer, directly or indirectly, by the Occupying Power of parts of its own civilian population into the territory it occupies, or the deportation or transfer of all or parts of the population of the occupied territory within or outside this territory” as a war crime when committed as part of a plan or policy or as part of a large-scale commission of such crimes.